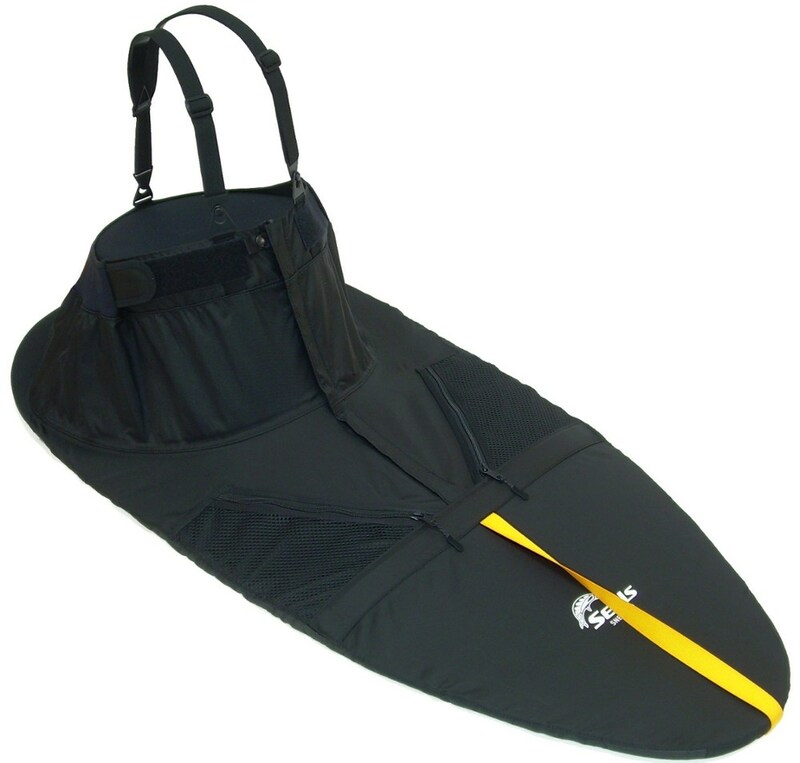 Seals Sea Sprite Kayak Spray Skirt - The Seals Sea Sprite Kayak Spray Skirt is a hybrid construction of neoprene and nylon which gives the skirt the most desirable attributes of today's high-end touring and whitewater skirts. 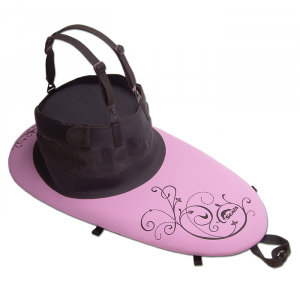 This spray skirt is ideal for moderate to extreme paddling conditions, and is made of a waterproof and breathable fabric tunnel with adjustable neoprene waistband. 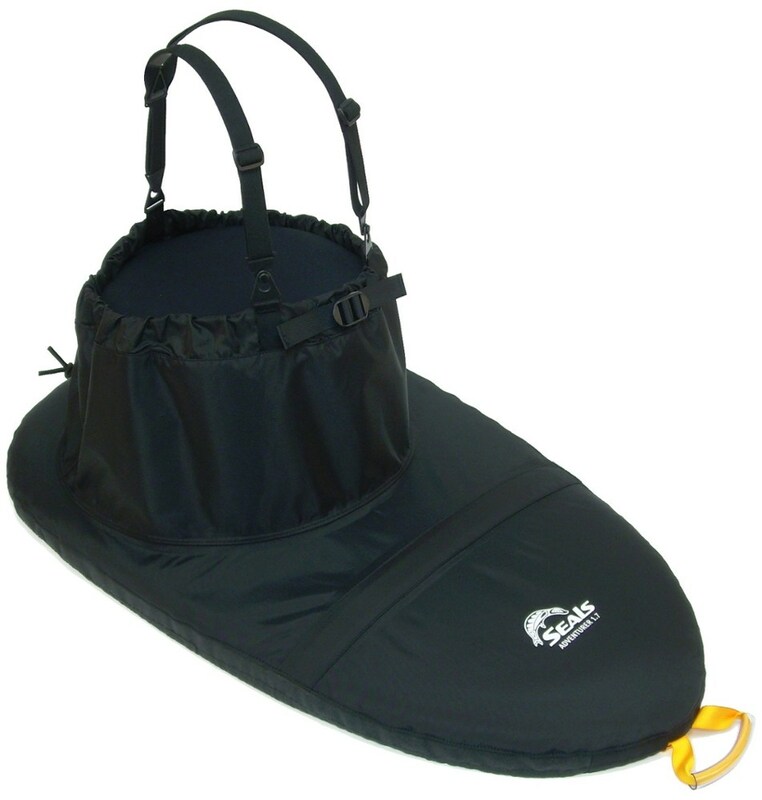 The Seals Sea Sprite Kayak Spray Skirt is perfect for choppy or rough conditions and paddlers of all types. Designed for moderate to extreme paddling conditions, the Seals Sea Sprite offers the dryness and reliability of a neoprene spray deck and the non-restrictive comfort of a breathable nylon tunnel. Great for paddling in moderate to extreme conditions (waves large enough to submerge your boat), the Seals Sea Sprite is a hybrid nylon/neoprene sprayskirt that will help keep you and the cockpit of your kayak dry and comfortable.Click here to find your Seals size. . Made of high-performance 4 mm neoprene with glued, stitched, and sealed seams. EZ-stretch 3/8 in. stitched bungee attachment secures the skirt to the rim of the cockpit. 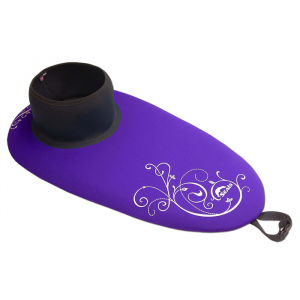 3-ply waterproof, breathable fabric tunnel features an adjustable neoprene waistband, 3 in. tall neoprene transition from the deck, and removable suspenders. Double-stitched and sealed seams. Double-stitched and sealed seams Grab loop with integrated safety whistle. Paddling conditions rating: moderate to extreme. 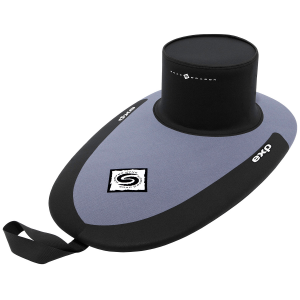 All Seals sprayskirts and accessories are cut and sewn in the USA. Custom sizes and colors may be available. Please call customer service at 1-888-463-6367 to learn more about a special order. Additional charges may apply..
For your adventures paddling the great open waters of Seattle's Elliot Bay, be sure you're equipped with your Seals Sea Sprite Touring Skirt. Built with 4 millimeter neoprene that blocks out water and keeps you warm, this spray skirt offers a secure attachment to your kayak that still allows for a quick escape if need be. The 3-ply neoprene construction keeps water out while still allowing you to breathe to make sure you don't get too stuff on your adventure. On top of this skirt's easy-to-use hook-and-loop closure, the grabloop is also outfitted with a whistle just in case you need it.